Gasoline or gasoline vapors are highly flammable. A fire could occur if an ignition source is present. Never drain or store gasoline or diesel fuel in an open container, due to the possibility of fire or explosion. Have a dry chemical (Class B) fire extinguisher nearby. Remove the fuel tank cap and relieve the fuel system pressure before servicing the fuel system in order to reduce the risk of personal injury. 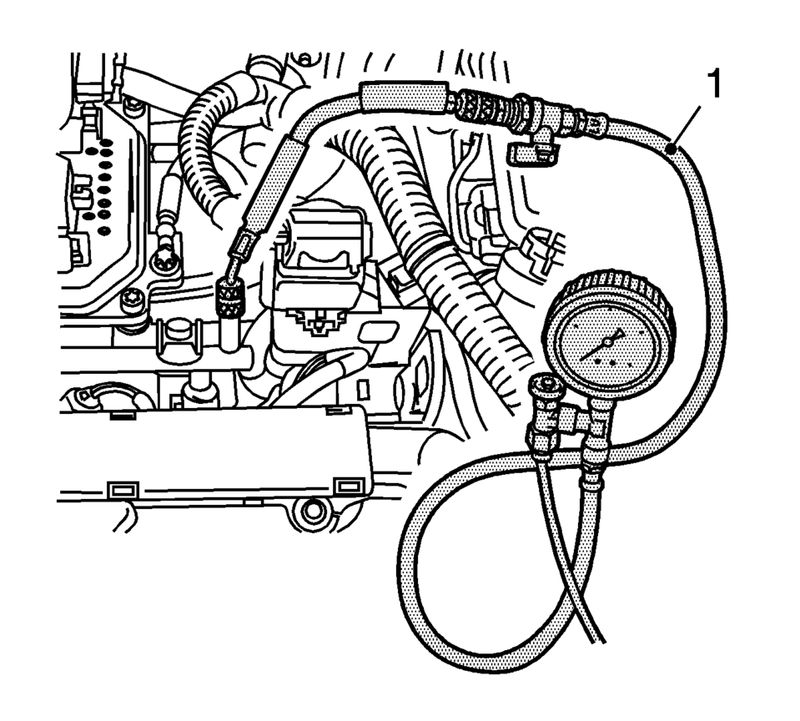 After you relieve the fuel system pressure, a small amount of fuel may be released when servicing the fuel lines, the fuel injection pump, or the connections. In order to reduce the risk of personal injury, cover the fuel system components with a shop towel before disconnection. This will catch any fuel that may leak out. Place the towel in an approved container when the disconnection is complete. Remove the protective cap from the test connection. Attach the EN 34730?E1 tester (1) to the test connection. Bleed the pressure tester at idling speed. Collect the exiting fuel in a suitable container. Read the fuel pressure from the pressure gauge. Detach the pressure gauge EN 34730?E1 tester from the test connection.